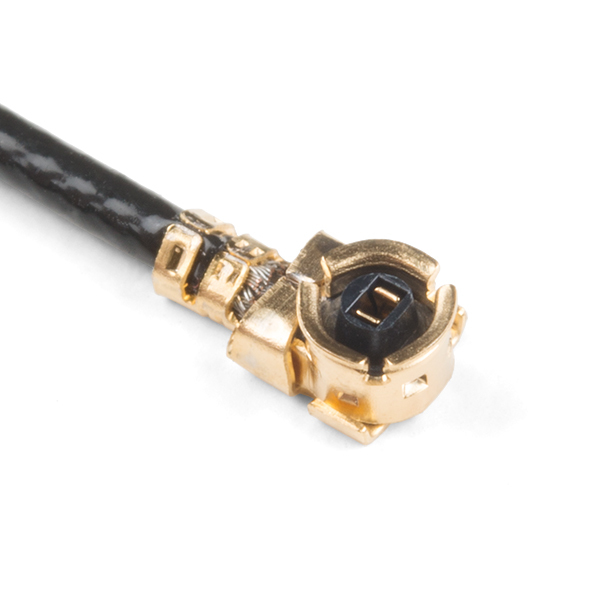 The Molex GNSS Flex antenna is a great option for basic GNSS applications and will work with any of our GNSS boards equipped with a U.FL at a fraction of the cost of many of its big brothers. This antenna supports GPS, Galileo, BeiDou, and GLONASS in three different frequency bands (1561 +/-3MHz, 1575 +/-3MHz, 1602 +/-3MHz). 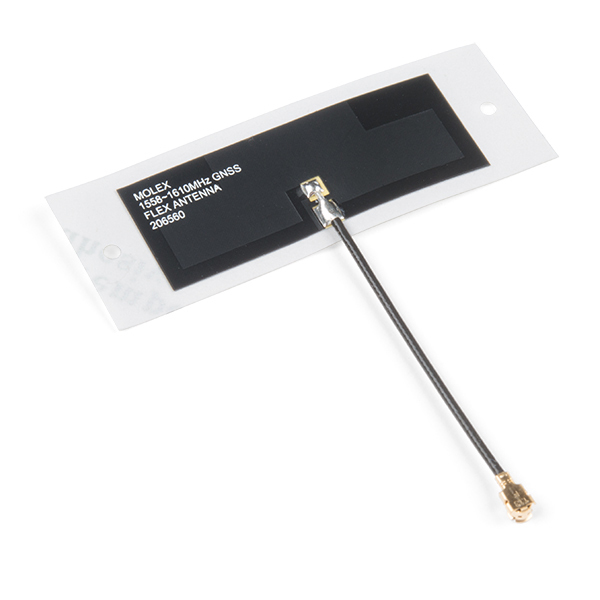 The Molex Flexible GNSS Antenna has an incredibly small footprint at 40.40mm x 15.40mm, while the adhesive pad is a bit bigger at 56.40mm x 20mm. Even better, the antenna is only 0.1mm thick (or about the thickness of a piece of paper). 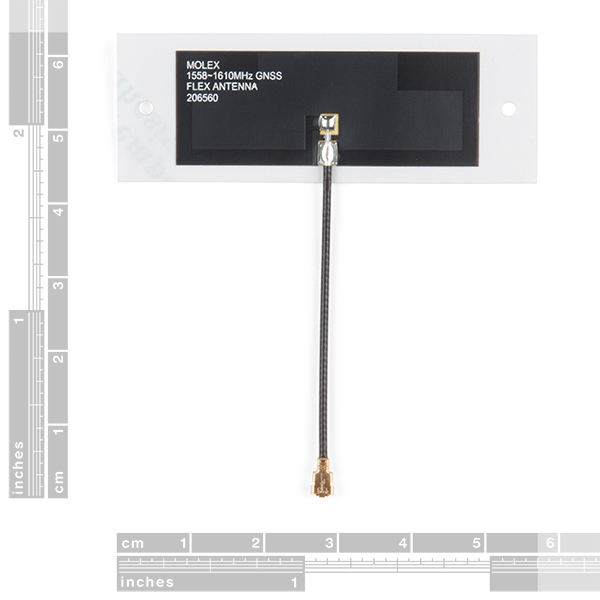 Simply remove the backing and stick this to any surface, or leave the backing on (just be careful of the fragile U.FL connector). How Well Do the Antennas Perform? GNSS Chip Antenna Hookup Guide: How Well do the Antennas Perform?